On the health and nutrition front, there&apos;s good news and bad news. In August, the USDA reported the number of farmers markets had grown 16 percent in the past year. The bad news is they are unevenly distributed, separating the nutritional haves from the have-nots. To see this in action, visit Southern California. Walking out the door in affluent beach communities is to encounter a cornucopia of food options. Lemons drip from trees, avocados roll down steep alleyways and Whole Foods markets proliferate at busy intersections. 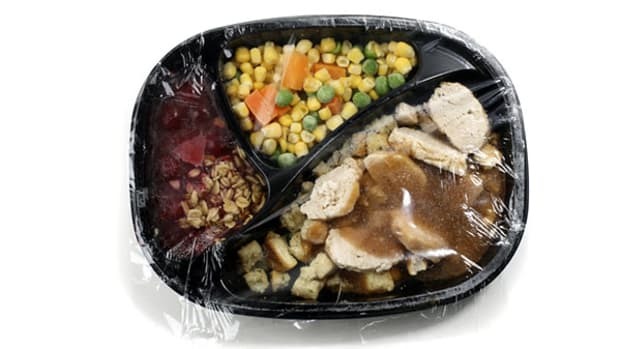 But drive any distance down the freeway to low-income or geographically isolated neighborhoods, and healthy food choices get fewer and farther between — this despite food&apos;s abundance in the United States. To improve the odds, foot soldiers in the food movement — some better known in Darfur than San Diego — are setting up shop in unlikely neighborhoods, promoting food programs to address the dual problems of hunger and poverty. "Good produce at an affordable price should be available to everyone," says Mallory Cochrane, an outreach coordinator for the International Rescue Committee, a nonprofit organization that assists refugees. According to the IRC, hunger is present in City Heights, a community in the eastern part of San Diego. Among its 80,000 people, mostly immigrant Mexicans, Asians and East Africans, 30 percent live below the poverty level. The IRC launched a pilot program, called the Fresh Fund, to allow shoppers at the City Heights farmers market (itself only established in 2008) to use food stamps. Its partners in the venture are local social-services agencies, with additional funding from the Wholesome Wave and the Price foundations. On a sunny Saturday morning, a parade of women toting kids approaches the Fresh Fund booth. Staffers manning a laptop scan their EBT cards, which act as debit cards. A simple swipe of the card allows patrons to receive wooden tokens to be used at nearby farm stands to purchase produce. At the end of the day, the farmers return the tokens in exchange for bank checks. Through the Fresh Fund, EBT recipients receive matching funds for every dollar spent, up to $20 a month. In other words, for every $1 in EBT script, the beneficiaries have $2 to spend. "At first we were giving money away," says food coordinator Kim Nguyen, speaking of the IRC&apos;s early efforts. In the literal sense of the word, money flowed out of Fresh Fund&apos;s coffer until a sophisticated back-end software system was designed to track the expenditures of the EBT recipients enrolled. As of October, 623 EBT recipients participate in the Fresh Fund program at the two locations the IRC operates in San Diego. The City Heights farmers market averages $1,200 in Fresh Fund vouchers per week, amounting to $2,400 in total. Farmers benefit too. "The Fresh Fund is the cornerstone of the market," says Lorrie Scott, market manager for the San Diego Farm Bureau. She said local farmers can rent a 300-square-foot space in exchange for 8 percent in earnings, with a minimum of $10. This modest vendor&apos;s fee enables small-scale farmers to turn a tidy profit during a brief period of time. From May through October, 16 participating farmers earned $171,582 in farm stand sales between them. Bernardino Loera, a farmer from the northern San Diego County community of Fallbrook, estimates that he earns up to $1,500 a week during the height of the summer growing season for each 100-mile roundtrip he makes to the City Heights farmers market. In many ways, the City Heights is a microcosm of similar experiments in food equity sprouting across the United States in fits and starts. The Wholesome Wave Foundation has funded programs like the Fresh Fund at 60 farmers markets in 12 states. 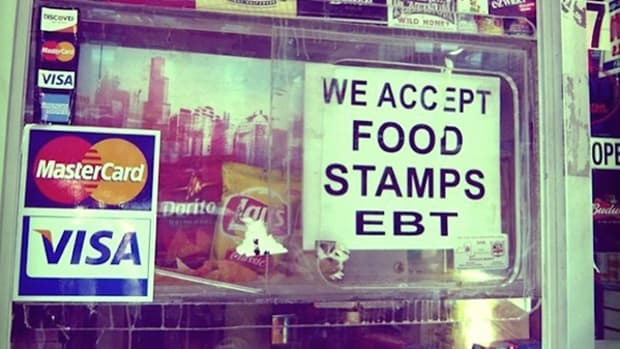 And U.S. Rep. Anthony Weiner of New York City has proposed a national program allowing food stamp recipients to get half off fresh produce purchased with their EBT cards. He&apos;s pitched the idea as much at attacking obesity as stretching food dollars. Food experts have taken note. "Farmers markets aren&apos;t for yuppies any more," insists Andy Fisher, executive director of the Community Food Security Coalition, a nonprofit based in Portland, Ore. Despite that, he readily admits that farmers markets can be few and far between in low-income neighborhoods and inner cities. 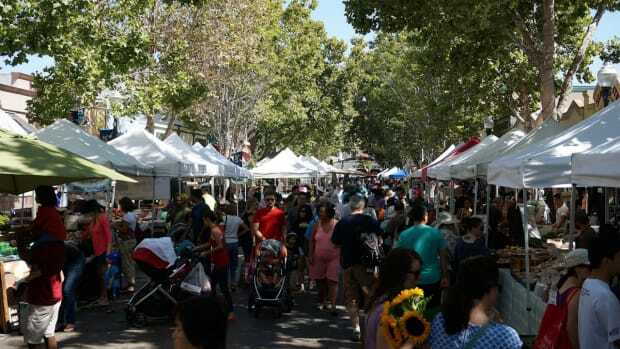 Of the 47 farmers markets in San Diego, for example, just 10 can be found east of the I-5 and south of the I-8, the unofficial dividing line between affluent beach communities such as La Jolla and the ethnic neighborhoods of the South Bay area. And of the 47, only five accept SNAP cards. A recently published national study "Real Food, Real Choice," co-authored by the Community Food Security Coalition and the Farmers Market Coalition, illustrates these shortcomings. 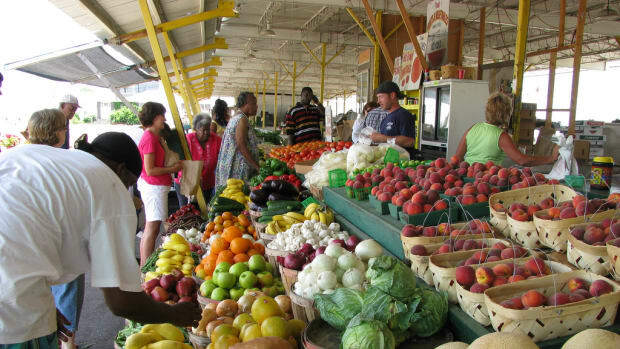 The report says many SNAP recipients are simply unaware that farmers markets exist or that they might accept EBT cards. And even if they did realize this, only 20 percent of certified farmers markets have EBT programs in place. The IRC&apos;s current challenge is to increase awareness and promote accessibility to programs like the Fresh Fund in a county where participation in food stamp programs has been historically low. Meanwhile, the IRC is dedicated to ensuring City Heights&apos; low-income residents get their slice of the pie, Cochrane says. "If you look at these refugee populations, going to grocery stores was not part their routine. All of their food consumption was based on growing their own food or visiting open-air markets. There was no Walmart."